What's the point of Bluetooth advertising if it doesn't work? Real world results are the true test of Bluetooth and any other marketing channel. With direct mail, a 1-5% return is typical. If radio and TV yield 15-20%, you're singing in the rain. So what about Bluetooth marketing? What are typical response rates, as measured by percentage of Bluetooth-enabled users that accept content and a simple download count? My research on Bluetooth advertising in Europe, Asia, Africa and here in the States reveals a typical 30-40% content acceptance rate. Check out our industry-specific posts for more on that. 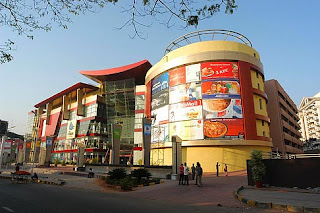 This article talks about the great success that Forum Mall tenants in India are having with Bluetooth marketing. Though they haven't revealed their customer conversion rates, downloads are cruising along at 20,000/month now six months later--a good sign of the staying power and cost-effectiveness of Bluetooth advertising. If you're considering your own Bluetooth campaign, contact Lucky Rock Consulting. We feature affordable turnkey solutions and optional ad support.